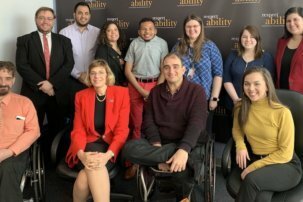 Rockville, Maryland, Oct. 31 – Having the opportunity to work on Capitol Hill can seem like a prestigious honor that is out of reach for many, especially those who are part of minority groups such as members of the disabled community. 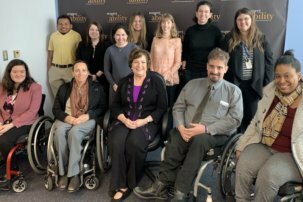 However, the Senate Diversity Initiative (SDI) is working to ensure that congressional office staff is more inclusive of Americans across a spectrum of race, socioeconomic status, creed, sexual orientation and even disability. The hope is that this diversity can be accomplished by connecting Hill offices with skilled candidates who have diverse backgrounds through a managed database. Sam Flood, the Diversity Initiative Research Aide, came to speak with the RespectAbility fellows about his program and how they can participate. Flood started with an overview of the Senate Diversity Initiative and then explained how a candidate can apply and what positions could be open for them. Originally started by Sen. Harry Reid and then taken over by Sen. Chuck Schumer, the SDI was intended to bring more diversity to Senate staff. However actually accomplishing diversity goals is a task and a new system has to be built. The SDI’s response to this problem is to have a database of applicants that is actively curated. Staff review the resumes of candidates who are then interviewed. Consequently, staff then asses the candidates to determine if they fit into the office environment while also ensuring that proper representation is considered. This way, offices seeking to fill positions are connected with the strongest candidates with a diverse array of backgrounds. However, SDI does not just act as a conduit for offices to find the right staffer. SDI also gives candidates a leg up in preparing for the position, which could be incredibly valuable for anyone from a disadvantaged background. Staff at the SDI program give resume advice, conduct mock interviews with candidates and work with them to ensure that they can reach higher positions on Capitol Hill once hired. Candidates will have a variety of positions open to them. Both House and Senate offices usually have three distinct departments: legislative, administrative and communications. Those working on legislative issues mostly tackle policy and the legal workings of the legislative process. Meanwhile communications mostly focus on managing the image of the congressperson while administrative focuses on the daily management of the office. Usually each department offers a specific internship program that can then lead to a permanent position. Applicants must first submit a resume to the ‘Senate Diversity Initiative Resume Bank’ on the SDI website. Candidates with the strongest backgrounds will then be selected for an informational interview. From there, the SDI will then begin to build a relationship with the candidates that are found to most likely qualify for congressional staff positions across the legislative, administrative and communications departments. Said applicants will receive resume advice, be added to a slate of candidates for offices to consider and will have regular contact with SDI staff through job offers and post interview follow ups. The SDI is a powerful tool for people seeking entry-level positions such as internships, associate and aide positions. 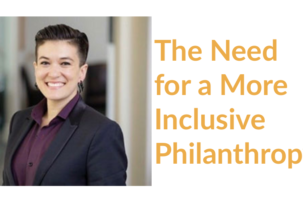 SDI marks a movement in institutions of power to be more inclusive and opens the door for people who might not typically have the resources or connections to make it to the Hill. Zackary Tamimi hopes to work to change perceptions of people with autism and other disabilities. His long term goal is to continue advancing a career in political communications.